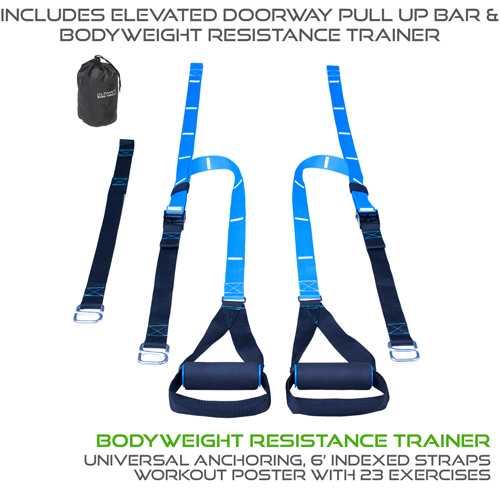 Get better workouts every day with the elevated XL Doorway Pull Up Bar and Bodyweight Resistance Trainer package by Ultimate Body Press. 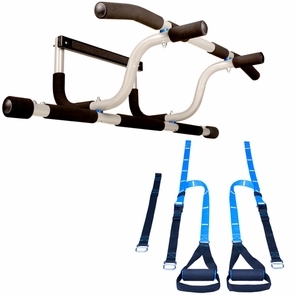 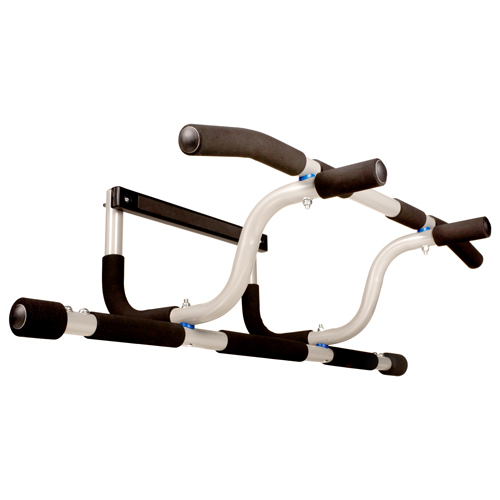 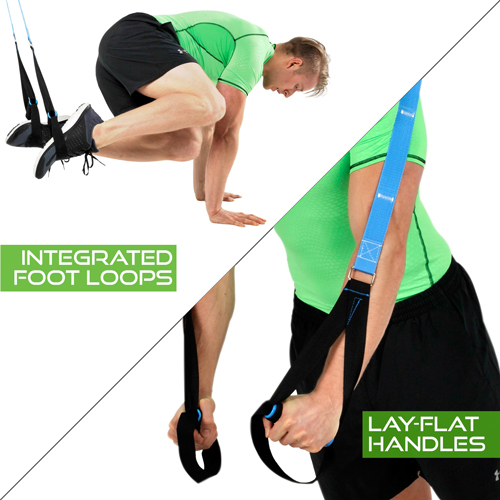 The Elevated Doorway Pull Up Bar is an excellent suspension trainer anchor that expands your upper body workouts to every muscle in the body. 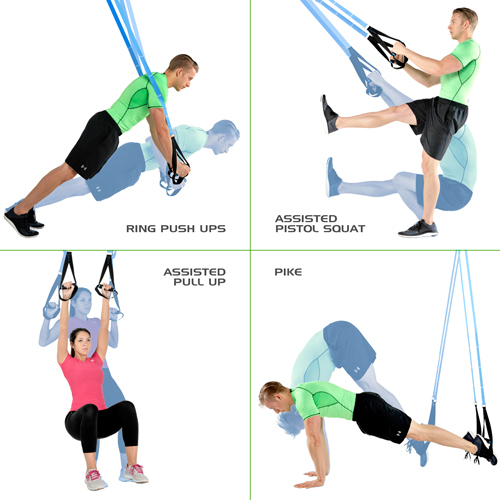 With 26 exercises including assisted variations for easy pull ups, squats and more, suspension trainers deliver incredible results with full sets right from your first workout.